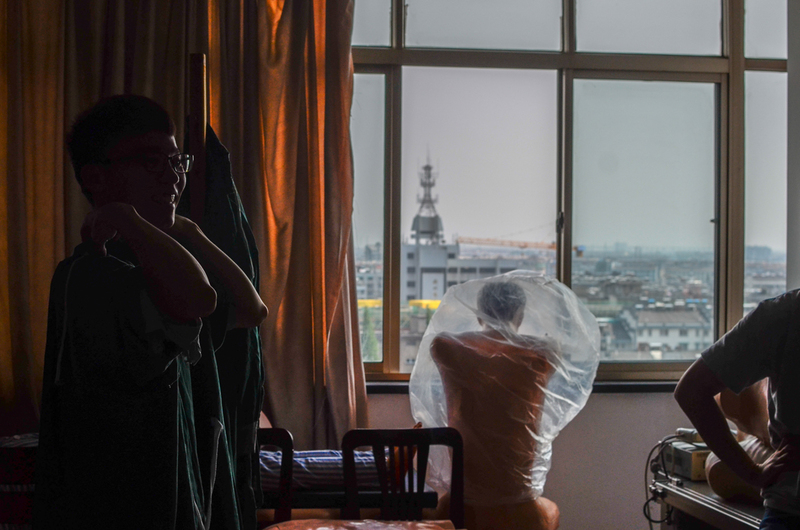 This summer, I returned to my hometown for fieldwork in a Chinese hospital. The hospital accepted me as an “informal trainee”, which means I could observe all the healing and teaching activities taking place. Recently my observation subjects, a group of future physicians, have been busily preparing for one of their most important exams; the one that takes place at the end of their first-year of residency training. It’s a practical skill test, the result of which decides whether or not the student will obtain their general medical license. In China, for a newly graduated student with an entry-level bachelor degree in medicine, there is still a long way to go before becoming a “standardized doctor.” Following an interview and matching process, the student secures a 3-year residency contract from hospital. Within the duration of this residency, the student will pass the National Medical Licensing Examination. Successful completion of this will be followed by a fellowship, during which he/she will undergo further specialty training. Obtaining the medical license during residency is the first and the most important step to a future career as a doctor. Test anxiety not only affects the trainee doctors, it teaches them. In the eyes of their more experienced superiors, the students are still way below the required standard. “The deterioration of the young…” a tutor doctor complained to me; “they have been trained for years but still couldn’t correctly apply dressings to a puncture wound. 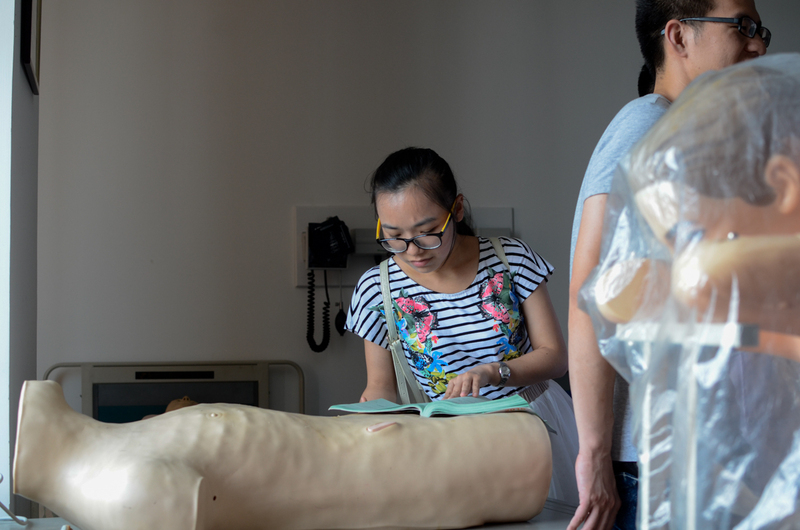 How will they pass the exam?” Thus the hospital offers the students access to a teaching room, urging them to practice on their lunch breaks using the patient simulators. 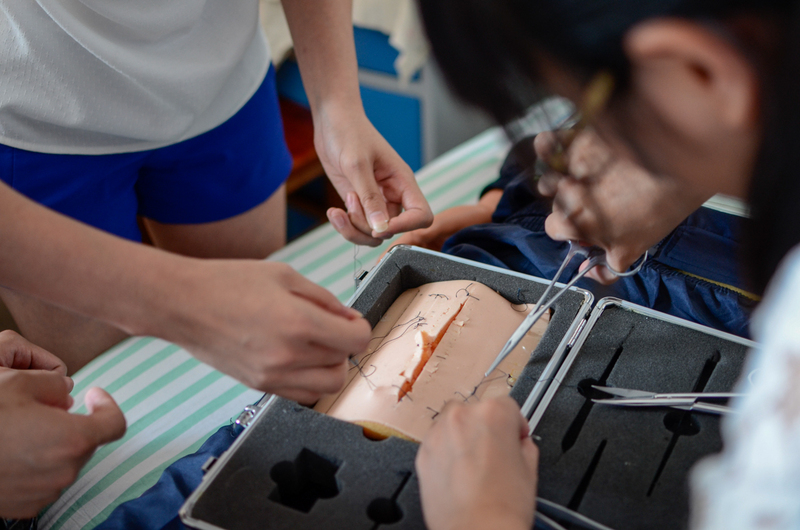 It takes me some time to understand the difference between patient simulators and mannequins (as far as I can see, both of them are just plastic teaching aids). But not every human-shape body could own a name. When it comes to those mannequins with single function or half body for example, they are just called “models”. Personality is something that can only be obtained by those human patient simulators with “whole” body parts, because they are more realistic. The most elaborate simulator is made by an American company. According to a product catalog book, his name is Stan, though male students are more likely to call him “buddy.” They treat him respectfully, as they would a taciturn sickbed patient. “Stan, I mean, the patient simulator is really well-designed! He must be very helpful in training doctors?” I tried to say some praising words to make the pessimistic tutor happy. The practicing experience – what the trainee learns personally through his/her dealings with patients, is a highly valued source of knowledge in medicine. Yet today’s Chinese young doctors find it very difficult to obtain first-hand experience with patients. With the public’s widespread lack of trust in doctors, Chinese doctors are becoming the targets of patients’ anger. A report from the Chinese Medical Doctor Association has shown that there is a large number of violent attacks against healthcare workers in China’s hospitals. Such precarious doctor-patient relationships have made young doctors who are still developing their healing and communication skills an unwelcome group of people for patients. Patients mistrust their young doctors, and young doctors are afraid of their patients. 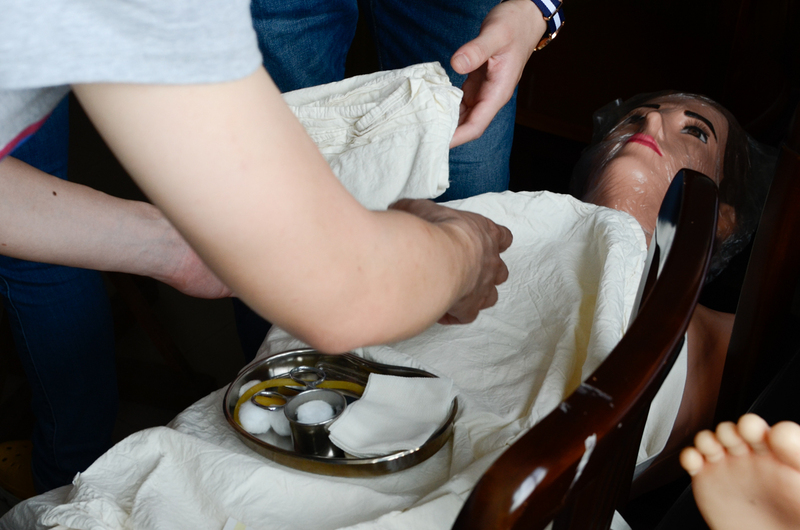 In order to create more practical experience with “real humans”, the hospital actually considered introducing a standardized patient (SP) program into daily teaching exercises to portray the roles of patients. However, they later found that recruiting SP involves tremendous difficulties. For becoming an SP requires a good memory, basic medical knowledge, and a certain amount of acting skill. An ideal choice for SP are retired doctors, who not only know the symptoms of different diseases well, but could also help students to work through difficult emotional situations. Practicing communication skills for example, involving patients from different backgrounds. However, the tedious SP training and heavy workload discourages volunteers from taking on the role.